The number of biological therapies in development to treat chronic diseases has risen steadily throughout the years. 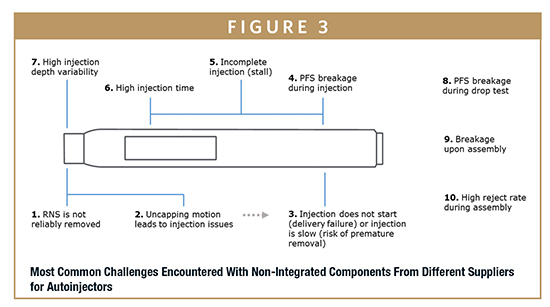 The fact that many of these therapies are designed for home delivery by patients or caregivers via subcutaneous injection, combined with increasing complexity of longer-acting formulations, larger injection volumes, and longer injection durations, has raised the bar for seamless injection delivery technology. Patients today receive these drugs prefilled inside injection devices, together called combination products. These combination products include autoinjectors, wearable injectors, and prefilled syringes. To bring a drug-device combination product to market, pharmaceutical companies must select and assemble multiple components that optimally work together to safely and effectively deliver the drug formulation. These components include, but are not limited to, a primary container consisting of a syringe barrel, stopper, plunger rod, and backstop; a secondary delivery system, such as an autoinjector; and potentially an add-on needlestick safety guard. Drug makers and their contract manufacturing partners have the option of sourcing these components from a variety of suppliers. However, pharmaceutical companies that purchase components separately take on additional risks that can be significantly reduced by selecting an integrated system instead. 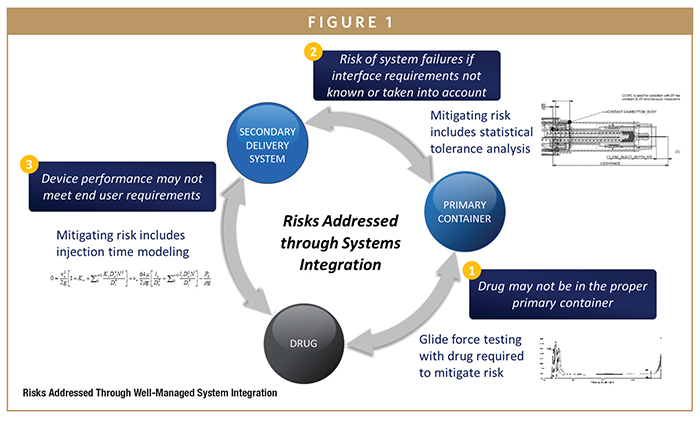 Broadly, risks of system integration include the delivery system not functioning as intended, such as primary container breakage, inconsistent system performance, and incompatibility with key container components (Figure 1). When realized, these risks bring an increase in project management complexity and time, a potential delay to launch, and unforeseen issues post-launch, among others. Moreover, problems may not be revealed until late in development or possibly after commercialization, when the combination product has already been manufactured in large quantities and reached the hands of patients. Consequences can range from high scrap rates and waste during the filling or assembly process to loss of costly drug and delay of therapy in the care setting. These risks and the costs associated with them, while real, may not be immediately obvious to the pharmaceutical company. For combination products to perform most effectively, special attention must be paid to component interfaces throughout product development, from the early design phases to manufacturing strategy and execution. BD is a leading provider of primary containers globally and offers secondary delivery systems including needlestick safety systems and autoinjectors for a complete combination product solution. Due to its legacy of developing and providing billions of prefillable syringes and components to the pharmaceutical industry every year, BD has the experience, analytical tools, and lab test capabilities to optimize the components of combination products to operate cohesively. As a result, pharmaceutical companies can benefit from delivery system interfaces that have been properly managed well in advance of product assembly and launch. BD designs their secondary delivery systems to integrate with the well-established primary containers most pharmaceutical manufacturers are already accustomed to using in their autoinjectors, wearable injectors, and safety systems. This not only provides convenience, but also enables more flexibility in device selection before manufacturers make downstream decisions about device features and functionality. For example, BD integrates their best-in-class BD HypakTM, BD NeopakTM, and cannula technology into its self-injection systems, providing multi-platform flexibility across a range of dose volumes. BD’s wearable injector, the BD LibertasTM, is the leading model of BD systems integration, designed from the bottom up with an array of proven BD components, including BD NeopakTM technology and cannula. BD also offers a leading brand of passive needle guards through its BD Ultra-Safe PassiveTM and BD PlusTM Needle Guards. 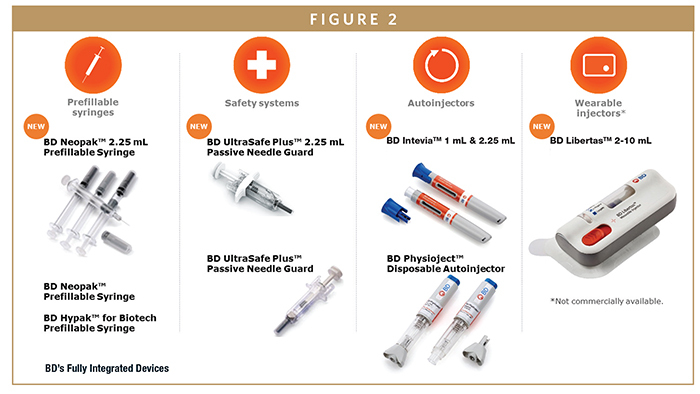 Unlike most add-on safety devices, BD UltraSafe PassiveTM and BD PlusTM Passive Needle Guards are designed to work with BD prefillable syringes. “Because BD develops both components, we can test compatibility, long before a pharmaceutical customer has the opportunity to test the components together with a specific drug,” says Sarah Baer, Global Strategic Marketing Leader. “It’s widely known that BD offers world-class primary containers for combination product development. Our customers are also increasingly coming to understand our investment and full capabilities in delivering exceptional secondary delivery systems. They understand the benefits of working with BD to manage the increasingly complex combination product world,” adds Bernard Egoyan, Vice President BD Medical – Pharmaceutical Systems. BD’s integrated systems offer solutions to the complexities of combination products at every interface between the drug, primary container, and secondary delivery systems. Consider a few examples of this. At the interface between the drug and primary container, BD leverages expertise and capabilities in glide force testing to ensure the drug is in the appropriate primary container to meet the manufacturer’s needs. Between the primary container and the device, BD provides statistical tolerance analysis to specify interface requirements that minimize risk of system failures. Finally, between the drug and secondary delivery device, BD employs injection time modeling to improve overall device performance. System integration provides value to pharma and patients at several levels. A well-integrated system anticipates and mitigates system performance risks early in development. BD performs system validation and design verification testing on established reference systems, challenging system performance at the limits of process capability. The outputs of this process are provided to pharma in summary report documentation. BD can also anticipate where problems can arise throughout the development process and how to troubleshoot them effectively. Because BD produces both primary and secondary systems, they have a unique appreciation of nuances that can support customers in meeting ISO standards. Visibility across secondary system platforms results in product designs that reflect detailed component specifications to ensure system integration between BD prefillable syringes and BD secondary systems, both during development and after manufacturing scale-up through commercialization. Internal experts share learnings from implementation experience across project teams. Moreover, quality commitment is maintained at the component and system (including primary container) level, which forces tighter specifications and reduced variability in system performance. This drives a high degree of accountability for BD, as the pharmaceutical sponsor can hold a single party accountable for performance of the total delivery system. “BD creates and manufactures to specifications that are so tight, pharma can accurately predict performance and put components together successfully with less waste,” says Janice Adkins, Associate Director, Marketing. Finally, BD conducts human factors engineering testing on our most advanced products across a range of users to confirm that the integrated devices are safe and usable as a system. While pharmaceutical companies will conduct their own testing with the actual formulation, this early testing of the system increases confidence in the usability of the components together and reduces risks of unforeseen issues. BD’s system integration has been designed to facilitate significant time and cost savings. On a case-by-case basis, BD provides data at the system level incorporating the primary container, which creates a more readily usable format for the critical step of combination product registration filing. And as BD continuously improves its manufacturing processes and product designs, the “fit” between primary and secondary containers is proactively verified and tracked, and potential problems are resolved to avoid performance issues that may ensue. BD’s leading primary container designed for biotech drugs, BD NeopakTM, ensures fit with many secondary systems, including BD handheld autoinjectors, wearable injectors, and passive safety devices. This enhanced fit supports greater choice and flexibility for pharma to serve diverse patient groups, therapeutic areas, and markets with the appropriate delivery format. Furthermore, a single prefillable syringe technology that integrates with a broad range of secondary delivery systems can minimize the costs associated with managing multiple component interfaces and suppliers. The most significant time and cost savings come from potentially avoiding delayed launch timelines. BD’s integrated approach is focused on ensuring that every component, including the barrel, stopper, needle, needle shield, primary container, and secondary delivery system, functions cohesively. This approach is intended to develop a seamless delivery system that performs as designed and meets the rigorous regulatory requirements for safety, effectiveness, functionality, and usability. “BD ensures that our components will work together. There are no surprises that the primary container selected doesn’t work or fit perfectly with the device,” says Justyna Dudaronek, Manager of Technical Services. For example, testing for performance feasibility may include in vivo testing, demonstrating that a range of injection volumes or flow rates are feasible. 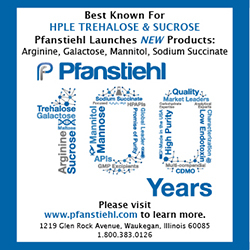 Combination product support occurs throughout the development process, from matching the right set of components with the formulation in Phases I and II, to validation testing of the system in Phases II and III. Only BD offers this breadth of capabilities in combination with the entire system of components to enable customers to anticipate and resolve challenges before they become issues from a system interference perspective. BD PhysiojectTM – a disposable autoinjector that fully integrates with the BD NeopakTM 1-mL glass prefillable syringe or the BD HypakTM for biotech 1-mL glass prefillable syringe. BD InteviaTM – an autoinjector platform technology specifically designed for high-viscosity drug delivery. 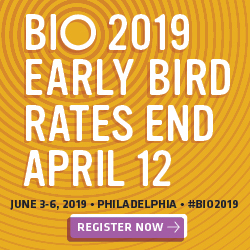 BD InteviaTM supports the evolving biologics/biotech need for high dosages, while offering integration with BD NeopakTM, offering manufacturers the flexibility to accommodate formulation changes. BD LibertasTM – a pre-assembled, fully integrated, mechanical wearable injector designed to deliver 2-10-mL doses of high-viscosity biologics. It was purposefully designed to work as an integrated system with BD NeopakTM and fits within current manufacturing assembly technology, providing high performance while enabling prefilled convenience for patients. BD UltraSafe PassiveTM & BD PlusTM Needle Guards – This family of products are add-on passive needle guards for prefillable glass syringes, offering versions for both cut flanges and small round flanges. BD Ultra-Safe PassiveTM and BD PlusTM Needle Guards are market-leading safety solutions for prefillable glass syringes. BD conducts a multi-phase set of compatibility tests to ensure primary container integration. Drawn from years of experience with customers, the following are examples of real-world challenges faced with non-integrated components from different suppliers, and the corresponding solutions offered by integrated systems. Cap Removal Malfunction & Wasting Drug Limitation of a Non-Integrated System – When patients remove the cap from an autoinjector, the rigid needle shield (RNS) may not always be pulled from the needle. The result could be an uncapping motion that damages the needle and the drug delivery device. In this case, the device becomes unusable, and the patient may fail to receive his/her important and expensive medication. For the pharma company, this issue may produce complaints, drug waste, and negative quality perception. Although some companies may recognize this issue during development and may resolve it by switching to a different autoinjector, others may not observe it until after scale-up and launch. Integrated System Solution – With BD’s integrated autoinjectors, the caps are designed to integrate with and reliably remove the RNS so that the needle is not damaged. Knowing that even minor changes, such as replacing mold tools, can affect RNS dimensions, design and manufacturing updates are routinely and proactively assessed by BD for their impact to cap/RNS integration. BD designs for system performance to help manufacturers avoid project delays and post-launch issues. Needle Extension Variability Limitation of Non-Integrated System – Needle extension (depth) is not always well-controlled or understood when the autoinjectors and prefillable syringes are combined. The range of specifications for each component can result in an unexpectedly wide variation when the tolerances are stacked. As a result, unexpected clinical outcomes may occur when bridging from syringe injection to autoinjection. The implications of this issue are that pharma may have to repeat clinical studies, or re-design the autoinjector or prefillable syringe. Either case could result in product launch delays. Integrated System Solution – Injection depth was thoroughly characterized and controlled during the development of BD PhysiojectTM and BD InteviaTM, through close work with the prefillable syringe team to evaluate needle length variability and methods of controlling this dimension. With the BD PhysiojectTM system, BD has addressed needle depth variability and conducted clinical studies to show how injection with BD PhysiojectTM compares to injection with a syringe alone. These studies provide evidence of more predictable clinical outcomes with BD’s integrated system. According to Fabien Dubuc, Platform Leader for Autoinjectors, with BD InteviaTM, the team went a step further to optimize the system. They set a goal to eliminate the variability of requiring a skin pinch upon injection, simplifying the process for the patient. BD’s ability to tightly control variability of components enables consistent targeting of the subcutaneous space. Preclinical studies demonstrated that, without the use of a skin pinch, BD could reliably control injection depth, greatly improving the injection experience. Limitation of Non-Integrated System – Like needle extension, component dimensional variability (eg, prefillable syringe variability) is not always well accounted for in the design of the autoinjector assembly process. Higher reject rates and possible primary container breakage during assembly may occur as a result. Integrated System Solution – With BD’s visibility to detailed, proprietary prefillable syringe component specifications, critical dimensions to assembly which incorporate both BD PhysiojectTM and prefillable syringes are accounted for within the assembly process design. 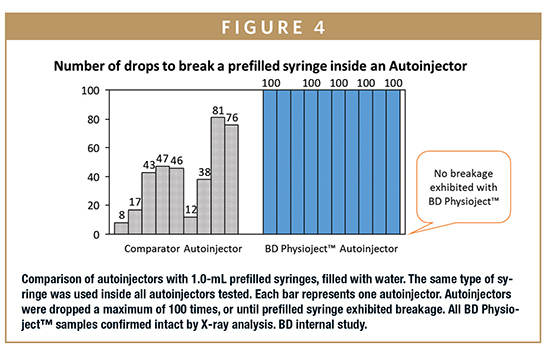 As shown in Figure 4, in an ISO 11608 drop test (1 meter drop) study comparing BD PhysiojectTM with one of the most commonly marketed disposable autoinjectors, BD PhysiojectTM outperformed the comparator autoinjector in terms of prefilled syringe breakages and successful complete injections. BD provides guidance for system assembly, ensuring that the process works smoothly with both the secondary delivery system and primary container, reducing the need for troubleshooting or other workarounds. BD LibertasTM Example – Another example of where a systems integration approach adds value is the tolerance stack up analysis conducted to design the BD LibertasTM wearable injector for high-scale production. For example, to establish the axial clearance between the primary container and device flow path, an analysis of design parameters and geometric tolerances on nine dimensions is performed to ensure resulting device functional performance. This development approach enables identification of critical inputs from a systems performance perspective, and yields a database of system specifications. This database houses hundreds of geometric tolerance stack-up chains that comprise system specifications and enables a comprehensive understanding of how the device components, as a well-integrated system, result in a high-performing combination product, the BD LibertasTM wearable injector. With a long history and expertise in combination products, BD is applying its learnings to the current needs in product development. The growing complexity and regulatory rigor of combination products has called for increasingly innovative delivery devices. BD’s integrated systems offer a means to incorporate already-existing, world-class technologies with novel secondary delivery systems to provide complete solutions that meet the evolving needs of pharmaceutical manufacturers. Combined with BD’s continuous process and service improvements, BD integrated solutions are designed to mitigate system performance risks, facilitate cost savings, and prevent launch timeline delays to help pharmaceutical companies succeed in bringing their drug-device combination products to market and achieve commercial success. BD InteviaTM and BD LibertasTM are products in development; some statements made are subject to a variety of risks and uncertainties. The combination products and the claims are subject to regulatory approval. ©2018 BD. BD and the BD Logo are trademarks of Becton, Dickinson and Company. Dr. Theresa Bankston is Director, WW Technical Services for BD Medical – Pharmaceutical Systems, where she leads the group that is responsible for providing technical support, solutions, and services around delivery systems for injectable drug therapies. She has more than 15 years of combined experience in the pharmaceutical and medical device industries. Her areas of expertise include process chemistry and engineering development, analytical method development, and drug-container integration science. She earned her BS in Biochemistry from Florida State University and her PhD in Chemical Engineering from the University of Virginia.